The big Christmas winner of the US Powerball has come forward to claim his $298.3 million prize. David Johnson of East New York, 56, is the sole winner of the December 27th jackpot. He collected the lump sum payout for the prize, worth $180 million, which left him with approximately $114 million after taxes. 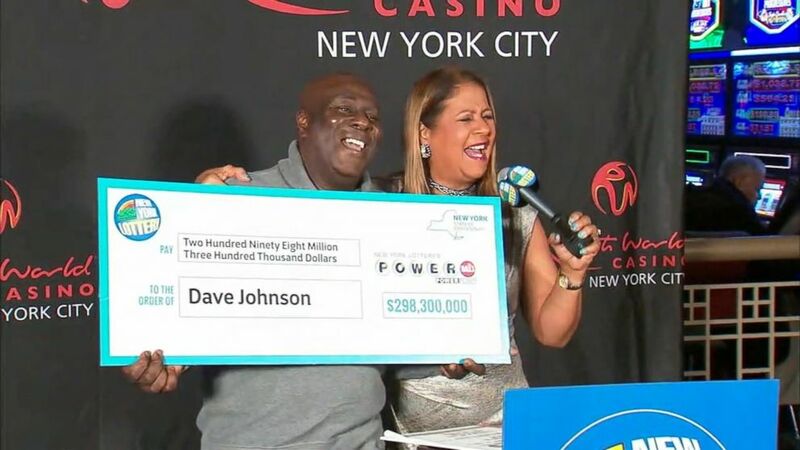 Mr. Johnson is now part of New York’s lottery winner hall of fame alongside Robert Bailey, who scooped $343 million in the Powerball back in November. David Johnson’s entire life changed overnight after he matched the six winning numbers – 5, 25, 38, 52, 67/ 24. His favorite lotteries are the Powerball, the Mega Millions, and the New York Lotto and he usually bought tickets for all three of them. Back in December, he stopped at a gas station to fill up his truck and he went into the minimarket. That’s where he got his three tickets, all three of them with Quick Pick. However, he never thought he could actually win. In fact, he didn’t even check his numbers after the draw. The next day, it was all over the news that the winning Powerball ticket was sold at that very gas station. A colleague told Mr. Johnson about it, but he didn’t think it was worth checking out. “Aw, that’s not me, man. That’s not my luck.”, he told him. The next day, he finally thought to scan his ticket at the gas station and he had the surprise of his life. He was absolutely ecstatic and starting jumping up and down in the store. Still in disbelief, he got back in his car and drove straight home to tell his family the big news. His wife thought he was joking, she couldn’t believe that they had actually won the $298.3 million jackpot. As for his daughter, she started crying when she heard that they would be millionaires. The Johnsons clearly had a lot to process that day, but their top priority was to keep their ticket safe. The best place that Mr. Johnson could think of for his ticket was an old jacket of his. He thought nobody would steal something like that and that their Powerball ticket would be safe and sound in one of the pockets. Then, on January 2nd, they contacted the Powerball officials to start the prize collection process. Mr. Johnson officially accepted his Powerball prize at New York Lottery’s press conference at the Resort World Casino. The future sounds great for David Johnson. He quit his job and he intends to take full advantage of his early retirement. The red Porsche is the first on his list, followed by a “nice house”. He will be sharing his jackpot with the entire family.